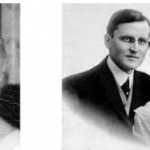 Titanic’s Anastasia: Who Was Helen Kramer? When Titanic sank in the early morning hours of April 15th, 1912, it birthed many mysteries and theories that still survive to this day. 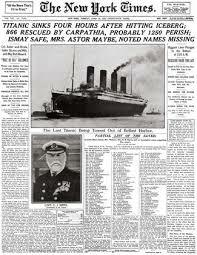 From the question of how Captain Smith spent his final moments on board to the identity of Titanic’s Unknown Child, (solved 99 years later,) many fascinating stories abound. 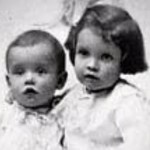 However, one of the most compelling is that of Helen Kramer, a woman who came forward 28 years after the sinking to claim that she was really Helen Loraine Allison, the only first-class child to die when Titanic sank out from under her family. 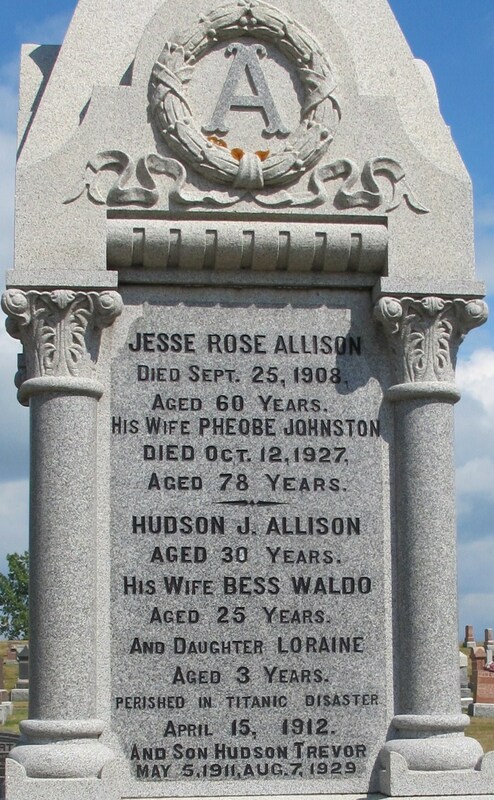 Helen, who was called by her middle name, was two years old when she boarded Titanic at Southampton with her parents, Bess and Hudson, and with Trevor, her seven-month-old brother. 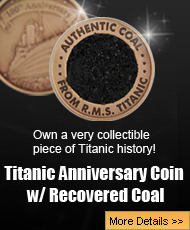 They enjoyed all the privileges afforded to first-class passengers during the first few days of the trip, but on the evening of April 14th, when Titanic foundered after hitting an iceberg, the Allison family would be forever torn apart. Once the lifeboats began to fill, Bess and Hudson realized that baby Trevor and the family maid, Alice Cleaver, were missing. They began to frantically search the boat, and Bess wouldn’t board a lifeboat or allow Loraine to be parted from her until they found Trevor. Unbeknownst to the family, however, Trevor and the maid had already boarded a lifeboat and were safe. The Allison family was last seen together on the promenade deck, and after the sinking, only Hudson’s body was recovered. 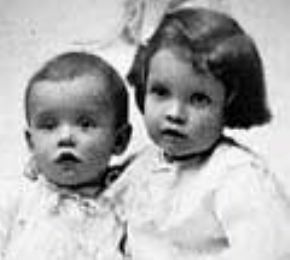 The sad tale might have ended there, but the question of little Loraine’s fate resurfaced in 1940, when a woman named Helen Kramer claimed to be the long-lost child. Helen Kramer first made her amazing claim on a radio program called “We the People.” She asserted that even though she and her parents were last seen together, her father put her in the arms of a man who was boarding one of the last lifeboats. This man’s name was James Hyde, and Kramer claimed that after he discovered her parents had perished, Hyde raised her as his own and then placed her in a boarding school to avoid suspicion, since he never officially adopted her. Many saw a resemblance between Kramer and her parents when photos were compared side by side. Because Helen Kramer would stand to inherit a substantial claim from the Allison family if she could prove her identity, she hired a lawyer. Trevor would have inherited his father’s fortune; however, he died at the age of eighteen of ptomaine poisoning after eating a tainted beef tongue sandwich. Remaining relatives began to press Kramer for more proof, but upon the sudden death of her lawyer, she could not produce any and claimed all her important papers had been destroyed in a fire. Without further proof and no one left to identify her (Alice Cleaver had long since returned to England,) Helen Kramer dropped her claims on the family fortune and vanished from sight. 4. Who Was James Hyde? Years later, Helen Kramer’s granddaughter, Debrina Woods, would claim that she found the missing papers and documents that would conclusively prove Kramer’s identity as Loraine. This information has never been released by the family, and even more startling is the claim, supposedly given within the papers, is that James Hyde, the man who raised Loraine, was really Thomas Andrews! Thomas had allegedly been living under this assumed name to avoid the kind of persecution and questioning that Bruce Ismay had endured. 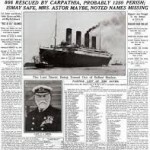 There is no James Hyde on the Titanic passenger list, which supposedly supports this claim, and Kramer said she did not learn this information until just before her adoptive father’s death and questioned him about the whereabouts of her birth certificate. While this is a wild leap of imagination, it is, nevertheless, a fascinating caveat to this story. In 2013, a group called the Loraine Allison Identification Project performed maternal mitochondrial DNA tests on Kramer’s granddaughter and on Bess Allison’s great niece, Sally Kirkelie. In January of 2014, the results were publicly released: the DNA samples did not match in any way. 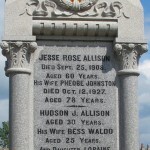 Helen Kramer could not have been Helen Loraine Allison, and the family plot in Ontario, Canada, still stands today in the memory of Hudson, Bess, and their children, although Helen’s age is incorrect; she had not yet turned three when Titanic sank. The tale of Helen Kramer and her claims is one that has captured the imaginations of Titanic historians all over the world. While DNA evidence conclusively proved that Helen Loraine Allison indeed perished with her parents when Titanic sank, the romantic and captivating story Kramer told is sure to live on.